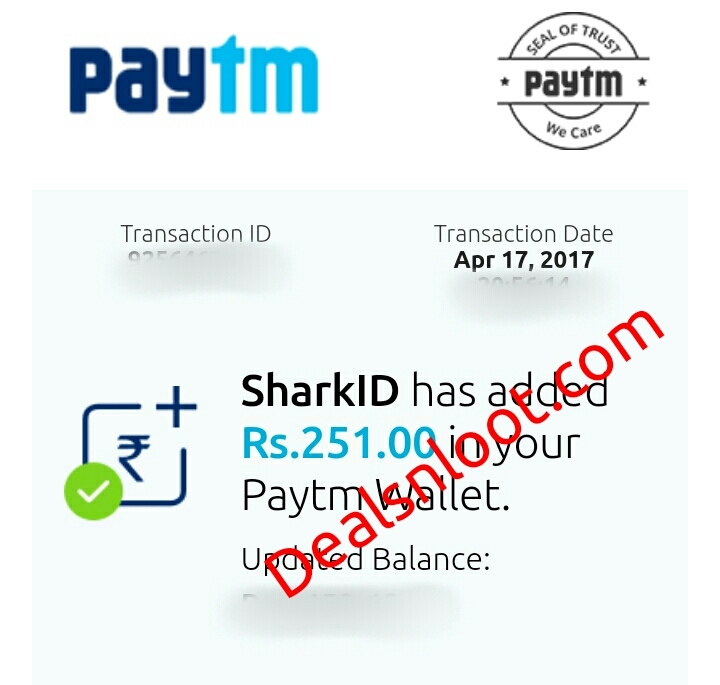 Hello Dealsnloot Readers,SharkId App has been launched a new refer and earn program in which you can earn Rs.251 paytm cash from one account. You need a minimum 20 active friends within a week to earn paytm cashback of Rs.251. Now App As A Promotional Deal Is Offering Rs 12 Per 1 Friend Refer & You Will Get Total Rs 251 Paytm Cash Free Of Cost If You Invite 20 Friends. Paytm Should Be Credited Within 7 Days.So Hurry !!! Grab This Big Paytm Cash Loot. NOTE : Users who are not getting Referral Credits It’s Just because Of card request. You must have to follow Send Card Request Step to Get Referral Credits. NOTE : Don’t Uninstall the app for 7 Days. If you delete the app then you will not get Paytm Cash. Offer is valid only for Active Referral. 1. Now We Will Send You Request To Accept Personal Card Within 10 To 15 Minutes. 2. You Just Have To Go To Notification Or Bell Icon & Click On Tick Icon. 3. Now You Will Be Eligible For Refer & Earn. 1. Now Click On Menu From Top Left Side. 2. Click On Refer Code. 3. Now Share Your Referral Link With Friends. 4. When Your Friend Sign Up & Accept Your Personal Card Request You Will Successfully Referred 1 Friend. 5. 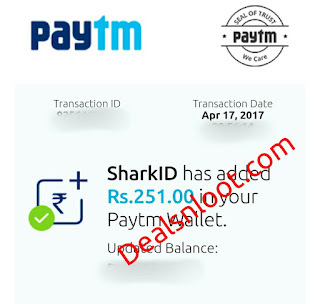 Refer 20 Friends & You Will Get Rs 251 Paytm Cash. 6. Paytm Cash Will Be Credited After 7 Days. This offer is valid till 30th April, 2017. Paytm cashback will be initiated after 7 days once we confirm your Referral Credit of 20 active users. We advise you to invite more than 20 friends because in case somebody has uninstalled the app, deleted account or is not your personal connection, and if you fall short of 20 active users, we won’t fire Paytm cashback of Rs. 251/- to you. Clear the app data of SharkID App. Use your own link and download the app. Put any unregistered number or buy it from OTP seller. After all registration process you will get your referral amount in your wallet. 1) Download bluestack emulator for PC. 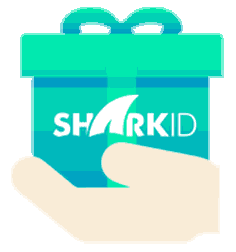 2) Next use your refer link and download SharkID App every time And earn Rs 20 for each refer.